For Information on Rates please scroll down! Imagine you could get away from your busy stressful life and stay at a beautiful Fasting Retreat in Ontario to experience the transforming, natural and healing power of Water Fasting. For just a few days or even for a week! Change your life by changing you body and mind – this is your chance to detox and restart your new and healthier life! Are you looking for an effective treatment to boost your metabolism and feel light and healthy again? We offer water fasting the most natural and health conscious way for detox and weight loss . 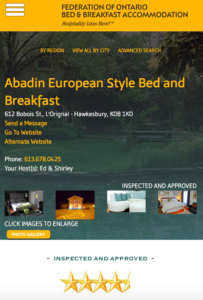 The owners of the Abadin B&B Fasting Retreat Ontario call Germany their birth country. Germany is known as the country which has a rich history of therapeutic fasting Retreat s. For centuries fasting was a well known as a religious form of asceticism as well as a therapeutic treatment. World wide known German fasting Retreat practices were the Kneipp Fasting Retreat, named after Sebastian Kneipp as well as the Johann Schroth Fasting Retreat. Fasting for health and weight loss has gained increasingly popularity for its powerful natural and effective way to detoxify and lose weight. Fasting has more and more found its way also into the North American mainstream medical profession. Moving away from low fat and high carb health professionals have rediscovered the power and healing properties of ketosis, fasting and therefore autophagy. More and more research is done that proves that fasting has earned its legitimate place in healing illnesses of our modern world > diabetes (See Dr. Jason Fung), high blood pressure, immune diseases and even offers an amazing role in supporting the fight against cancer and at the same time in protecting the human body against the toxicity of chemotherapy. The faster often report a sense of rejuvenation and renewed vitality, as well as mental clarity. 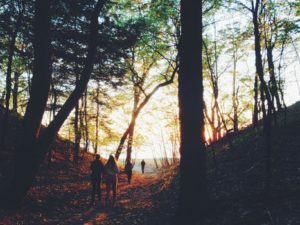 Participants staying at our Abadin B&B Water Fasting Retreat have the energy to exercises or take part in outdoor activities such as long walks or hikes. Ed and Shirley, the owners, have participated in long fasts themselves back in German spas and healing treatment facilities. 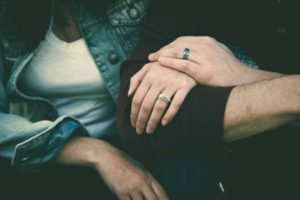 They both started their own fasting routines for health reasons again after moving to Canada and can offer a wealth of knowledge to their guests. Discover the Abadin B&B as your perfect fasting retreat in Ontario and take the first step towards a new healthier life! Shirley’s Personal Health Story and her success with Fasting. Books On Fasting click here ! Water fasting is a health and spiritual practice, where you drink water only for a certain period of time. People water-fast for a variety of reasons. Most people do water fasts to detox, cleanse their body, and lose weight. Water fasting is considered one of the best ways to release toxins from our bodies, it helps release negativities and promote emotional, mental, physical and spiritual healing. Our guests come to stay with us to water fast for the peaceful environment , as well as to eliminate distractions. While at home your family requires attention and food needs to be prepared there is always temptation to eat. Staying with us while fasting will give you the space to withstand temptation. Dr. Jason Fung , Nephrologist from Toronto, Ontario, Canada explains why calorie restriction does not work and why Fasting does work. You have to do the first step in a whole new and ground breaking direction! You want to be healthy, happy and find your balance. You want to leave lethargic, negative, scattered feeling behind. You are tired of feeling lost, unhealthy, overweight, addicted to food or dependent on medication. Being depressed, having high blood pressure or diabetes is wearing not only you but also your family down. We can not promise that it will be easy but we can tell you that fasting can change your life. I’m on medication can I do a water fast? Who can do water fast at Abadin B&B? 1. Individuals working or conducting business of any sort while fasting. 2. People who suffer from various conditions as PTSD, mental illness or taking medications. Fasting can occasionally trigger negative symptoms and we can not accept anyone under these conditions. 3. Individuals with any condition/infection that releases pus, ooze, skin, or anything else that might compromise the health of other guests as well as the cleanliness of our facility. Can my illness or pain be healed with a water fast? Water fasting can remove or reduce their pain and effects of illness. We of course can not promise or guarantee that healing will be happening since every body and condition is different. A fast will give you a break and will eliminate toxins and impurities that are damaging your body. What to expect at the beginning of a water fast? A feeling of lethargic, tiredness or headaches is normal. The first 2 days are usually the most difficult. Every fast is different even if you are experienced. Your energy will fluctuate, and you will need time to rest throughout your fast. How to know it is my time to break my water fast? As experienced water fasters, we are familiar with the signs that it is time to break fast. Some are: not being able to digest water, your pulse rate, not losing any more weight, too much acidity coming up, etc. 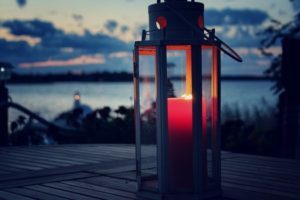 Although most people meet their fasting goals, you will need to break fast when we say you need to, even if your goal has not been met, if we see the fast is becoming unsafe. How can I entertain myself during water fasting? We encourage you to walk daily through our small tranquil village or to the beach in town, sit out in the sun to absorb the energy, enjoy relaxation music in our lounge room, read and write. You are welcome to bring your tablet or laptop if it helps you, we do provide wifi access. Each room also has TVs and DVD player and we offer a video library as well as a small book selection. But make sure you bring things to help you stay active while you are here, such as audio books, books, crafts, puzzles, sudoku books, sketchbook. We also offer private Art Therapy Sessions, you can book them with your fasting retreat through out online secure booking system. Go for a hike in the Laurentian Hills on the Quebec site of the River. When is the best time to water fast? Any time is a good time to water fast. Because the body temperature drops slightly during a water fast, bringing extra clothes and a blanket. The water is filtered refreshing, crisp, and perfectly pure for your water fast. How much weight can I lose on a water fast? The longer the water fast, the more weight you can lose but it will of course also depends on your body. On average a person loses about 7 to 9 lbs. per week. When you break your water fast and return to eating you will gain some weight back. How much weight will depend on the diet you return to. You can bring your own scale but we also provide a digital scale for our guests. Will medical physicians supervise my water fast? No, there are no medical professionals or physicians to oversee your fast. The owner will oversee your fast who are personally experienced with water fasting for various extended periods of times. Can I practice silents during the time of water fasting? 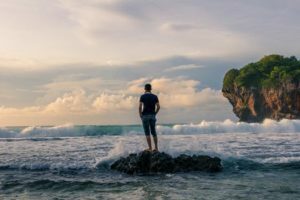 Yes, you can have a silent retreat too. We will respect if you prefer a more private setting. Please let us know when you arrive and check in. Is it possible to schedule a private consultation during my water fast retreat? Yes, we do offer one 20-minute sessions per stay if needed on a first-come, first-serve basis. What should I expect? I’ve never done anything like this before. Our Abadin B&B Fasting Retreat Ontario is a tranquil place promoting self-exploratory experience and self-improvement. We offer beautiful and modern accommodations for the most demanding guest. Even if you have never done a water fast you will gain tremendous insight about yourself. 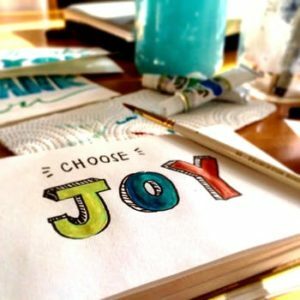 Expect to increase your willpower, strengthen your confidence, heal your body, purify your soul, learn about yourself, and expand your consciousness, peace, & happiness. Why don’t you encourage shared rooms during water fasting? Because of the nature of water fasting, we ourselves have experienced that sleeping patterns change during a fast and this can be uncomfortable for guests sharing a room. Signs on when to end the fast. First: your tongue may change color from white, to yellow, to even black during the fasting process. The moment it reverts to a healthy pink, you know autophagy has done its job, and you’re ready to return to food. Second: your energy and glucose will go up and down during the fast, but as soon as you experience fatigue that lasts more than only a single day, your body might be ready for nourishment. Third: or your weight loss could come to a halt, this could be a sign to break your fast. 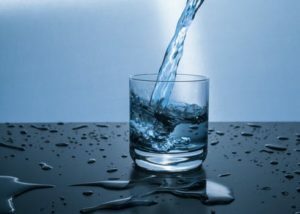 During a water fast your body’s digestive system is in a state of resting, this means that enzymes normally produced by the digestive system have ceased to be produced or have been diminished greatly, depending on the type of fast performed, so introducing food slowly allows the body time to re-establish this enzyme production. The protective mucus lining of the stomach may be temporarily diminished as well, making the stomach walls more vulnerable to irritation until it also returns to normal. When re-introducing food to your digestive system, the biggest mistake often is overeating ! Since your body’s digestive system went through substantial changes , immediate overeating following a fast is the worst you can do to yourself. This could result in nausea, stomach cramps and even in vomiting. It is imperative to help your body to readjust to digesting food. A general rule of thumb is to consider about half the days of the fast for your body to ease back into the digestive process. Fasting 6 days > 3 days for reintroducing food. What kind of foods would be recommended to break your fast? Your body lived of your own resources for days , although your own fat and protein debris are highly nutritional they also contain toxins which your body had to process and eliminate which is hard work. When going back to feeding your body you want to only use the most nutritional and high quality foods. We always suggest to make sure to use organic and raw foods as much as possible. Having said that, what can and should you eat to break your fast? Raw fruits are the easiest and most common used food to break a fast. It is important to pay close attention to signs your body gives you. – Watch for any kind of reaction of maybe a mild allergy , which could mean you have moved too far too fast, or you reintroduced a food your body does not do too well on. – Doing water fasting gives your body a break from foods we might not have done well with to begin with but after a fast it could show more substantially that our body does not like to have to deal with this food , after being sensitized. Make sure to chew your food well! To chew well keeps your food longer in your mouth where you inject your own bodies probiotics and enzymes which is important to predigest and help your body to get back to an active digestion. All prices include : purified water, one private consultation of 20 min., access to book and video library, printed information material about fasting and latest research, access to afternoon relaxation hour in our lounge room, two re-feeding meals and tea / coffee at the end of the water fast. As well as all usual amenities we offer to our Bed and Breakfast guests. All prices here include HST and are subject to changes without notice. Our Booking and Cancellation Policy applies and has to be accepted when booking. Booking are only accepted through our secure online booking system. What is your reputation as an accommodation?